We all hate advertising – specially the interruptive, annoying online ad that takes away from our experience rather than add value to it. If we look at the meteoric rise in online ad blockers, you know what I am talking about. Online ads are best tolerated, unless of course they add value to us – unless they add meaning in the context that we are in, and they are personal and intimate to us. 1. Not what you say, what they want to hear is important. Follow the feedback. Why can't brands get this simple point right? Why do agencies create ads for brands that the brand manager wants – and not what's relevant and meaningful to the consumer? A good brand manager will always ask for advertising that communicates what, how, where and why the consumer will find that ad meaningful and important. Feedback is crucial as an insight and a 'creation' tool, and this feedback is available to marketers, yet we fail to use them to our advantage. Every ad campaign should be analysed for how it did, what worked and what didn't, and the next one should learn from it. And also, it's important to know and respect what is being said on social media about your brand, product, service, and your marketing. Particularly about your ads, your posts, your website. 2. Add contextual relevance. 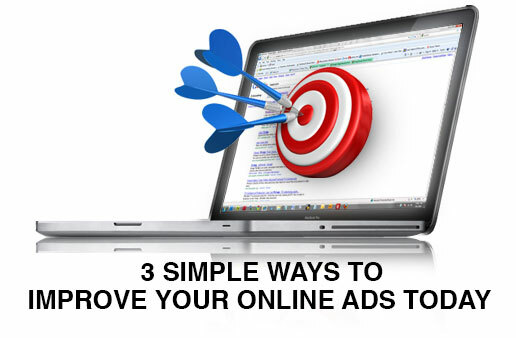 Create ads based on genuine data. The contextually relevant ad is nothing new, but what is shocking is how few brands use it, and how some brands actually over use it to make it annoying. Brands rely, as they should on Remarketing Lists for Search Ads (RLSA). "When people leave your site without buying anything, for example, remarketing lists for search ads helps you connect with these potential customers when they continue looking for what they need on Google Search. You can set your bids, create ads, or select keywords keeping in mind that these customers have previously visited your website" says Google. The problem is people use RLSA as a crutch, and not do their homework when developing and creating their online ads. True targeting, accurate personalization is a result of combining various insights about your audience – and that is way more than what basic targeting offered by Google. Data is plentiful on your CRM database, and your website analytics. And there's a whole lot more on your social networks – and not just your own pages, but your industries' and your competitors'. You need to look at all these insights to understand what your audience wants, how they will react to what you say, and then you can create your ads to attract, to resonate and be relevant. 3. Look at the whole journey. Be relevant and useful across the path. A lot of brands get their creative and media agencies to work really hard at being relevant online, at providing value in context, and being respectful of the audience. But they tend to forget all of that when it comes to their "offline" ads. Going back to the old world ways of pushing at their audiences, shouting at them. It's important to sit down and review your brands' advertising, and the entire marketing effort, across the whole customer journey. All of it needs to be relevant and meaningful, not interruptive and disjointed. You need to remember that the final action you desire from your target audience (I am assuming it is a sale here) depends not just on the last ad seen online before the click through, but the whole experience before it. In conclusion, remember, it is always about relevance in context. It is always about knowing and delivering on what the audience seeks. It is about resolution. That's how you engage them, in social, in your advertising, in everything you do.